Sometimes, you just can’t win. 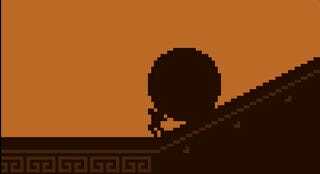 Sisyphus is an absurdist game by George Prosser that recreates the well known Greek myth into a frustrating button masher. It’s this week’s Indie Pick. In Greek myth, Sisyphus was a cruel king who cheated death by trapping Thanatos in chains. As punishment for his crime, he was made to push a massive boulder uphill for eternity. Sisyphus is a one button game about pushing a boulder. Mash the spacebar as much as you can and see how high you can go. Mess up and you’ll slide all the way back to the bottom. Sisyphus feels right at home next to games like Zoe Quinn’s Waiting For Godot or Kian Bashiri’s You Have To Burn The Rope. The former is a never-ending loading screen while the latter is a game where the only way to win is to burn a rope that drops a chandelier that kills the boss. 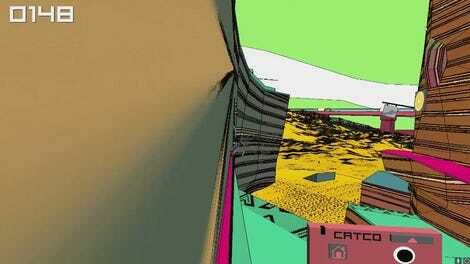 These absurdist games often exaggerate their mechanics for effect. Sisyphus takes a renowned story and basically turned it into a Mario Party mini-game. Somewhere, an ancient poet is rolling in his gave. “But there’s no win state,” his ancient corpse mutters in the void. I guess we just push the damn boulder. If we keep pushing, perhaps the struggle itself will fill our hearts with happiness. If we’re lucky, we’ll get a high score. You can play Sisyphus on PC and Mac.